Ah, sweet summertime—the warm weather has all of us here at Klein & Co dreaming of lazy beach days, poolside drinks, and sweet treats! 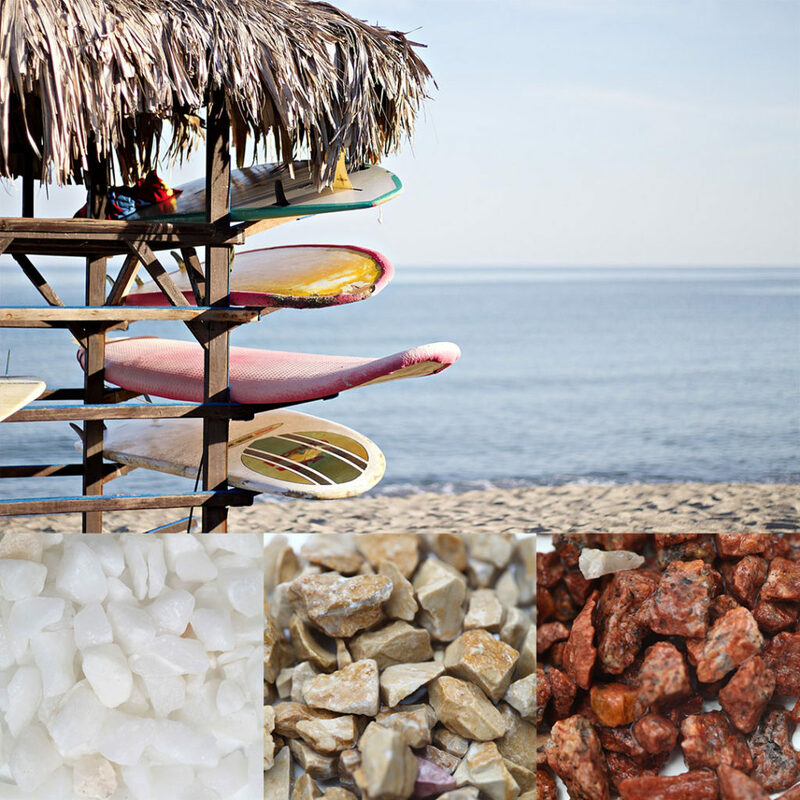 Here’s a peek at some of our favorite color combos for the season playing off of summer’s finest pastimes! Tropical paradise? Yes, please! 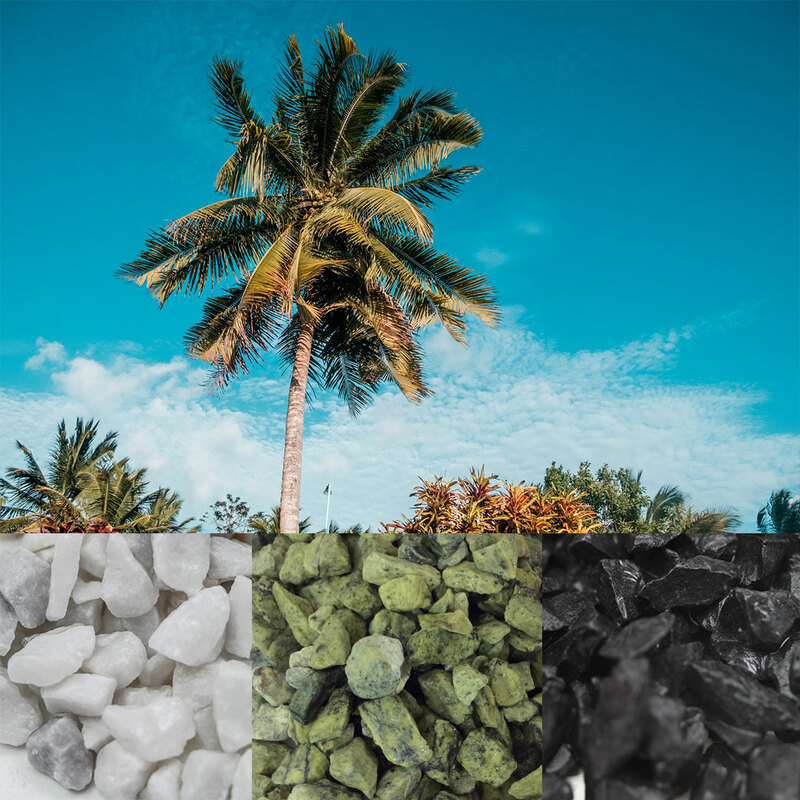 This combo of China White, DMC Royal Green, and Raven Black is a fresh and unexpected mix that would look perfectly at home in a beach bungalow! When the weather heats up, there’s no better way to cool down than some poolside relaxation! 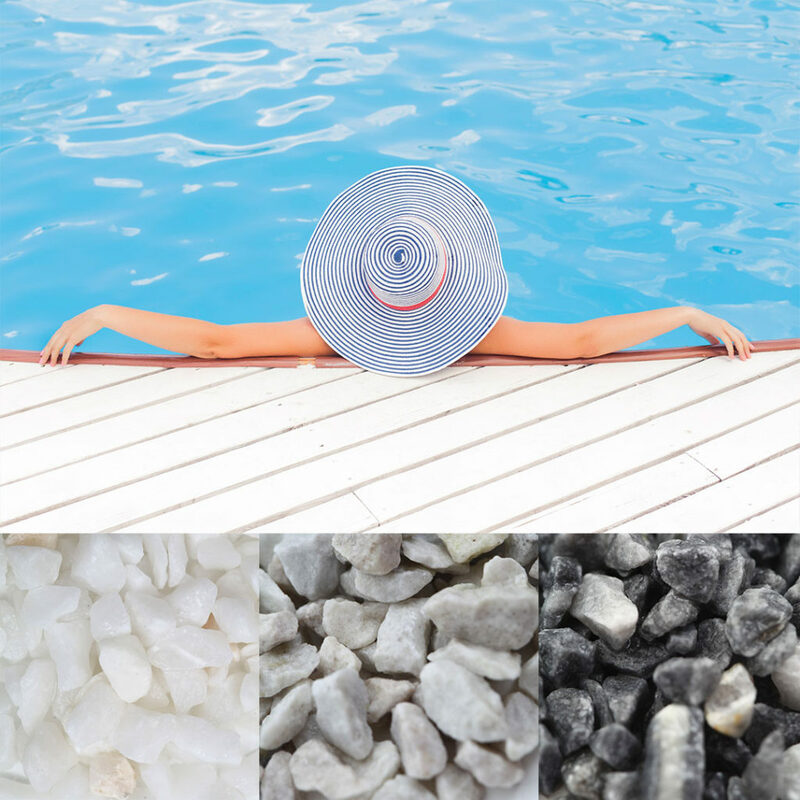 We think Blanco Mexicano, Canadian White, and Texas Blue are serving up some serious pool day vibes. Hang tight with this bold color combo! Blanco Mexicano, Yellow Verona, and American Beauty are giving us a laid-back, bohemian feel that we simply can’t resist! This simple and delicately pretty color combination is one of our favorites for the season! 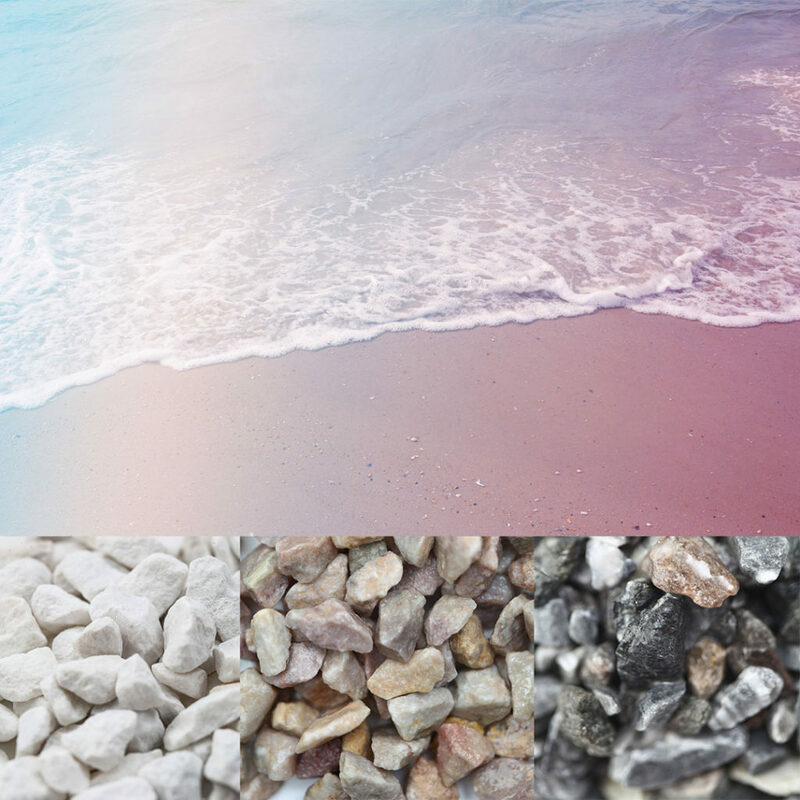 These cool-toned, dreamy aggregates are Sierra White, Texas Pink, and Blue Grey. Let our summer favorites become your new favorites! Contact Klein & Co to find out more information on creating the perfect color palette for your next project.